Newest High Quality Arabic Iptv Box No Subscription No Monthly Payment usb media player Specifications CPU Amlogic S905X A53 Quad Core Max. 2.0GHz Operation System Android 7.1 User Interface Unique Design Memory DDR 2GB Storage eMMC 8GB Support external SD card up to 32GB Network WIFI: 2.4G 100M Ethernet Web Browser Google Chrome DLNA,SAMBA Protocol Support Display Audios/videos/Pictures from android phone/iphone device Firmware Upgrade Upgrade from SD card or USB device Expansibility Download applications and games from Android Market Online support Online video, music, picture, Internet TV, Internet Radio, etc. GPU Octa Core Integrated Mali-450 GPU (3D Acceleration Engine) File system NTFS, FAT32, YAFFS2, EXT2, EXT3 Video Format 1080PDIVX/H264/H. 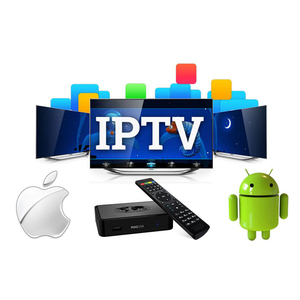 Arabic Iptv Subscription has been the major product in the Set Top Box market over the past year, and it was very popular in United States,Canada,Wales,Saudi Arabia and Germany; As shown in the distribution chart, market shares of these countries are folowing: [ US:29.24%, CA:10.42%, GB:9.05%, SA:8.94%, DE:5.93%, other:36.43%]. 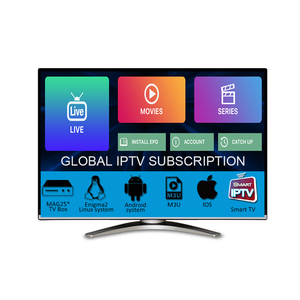 What's the trends of Arabic Iptv Subscription product's market in 2018 (Dec 2016 to Jan 2019)?we have studied one years data on online sales, global shipping, search, sourcing and requirements of following products Android Tv Box. Satellite Receiver,Here is the report.During the research period (Dec 2016 to Jan 2019), the major trends are as following.